Hurricane Irma was the longest-lasting powerful hurricane or typhoon ever recorded, worldwide. Irma sustained its 185-mph winds for 37 hours – “the longest any cyclone around the globe has maintained that intensity on record,” according to Phil Klotzbach, a research scientist at Colorado State University. The previous record was held by Typhoon Haiyan, also called Super Typhoon Yolanda, which hit the Philippines in 2013. Irma was a hurricane for nearly 12 days. 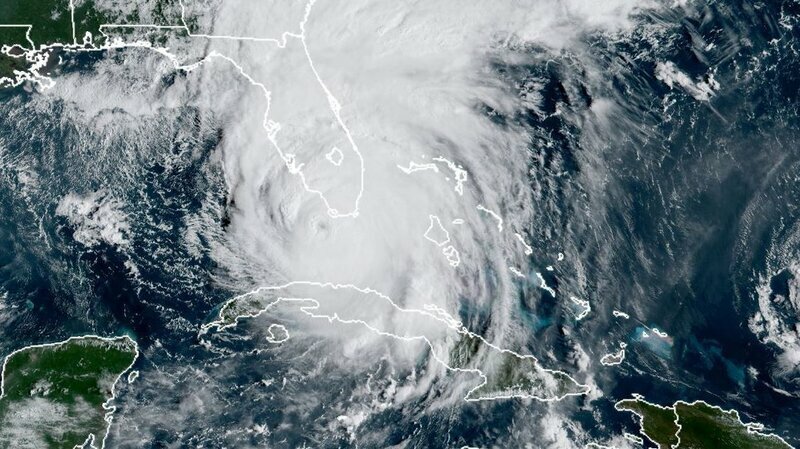 For more than three days of that total, it was a Category 5 — tying it with Cuba’s deadly 1932 storm and setting a record for the satellite era, Klotzbach says. The National Hurricane Center has verified Klotzbach’s tally of Irma’s place in history, adding that some of the figures could change when the formal Tropical Cyclone Report is released later this year. Irma has now been the subject of more than 80 advisories from the hurricane center, with the first dating back to Aug. 30, when it was a tropical storm with sustained wind speeds of 50 mph. 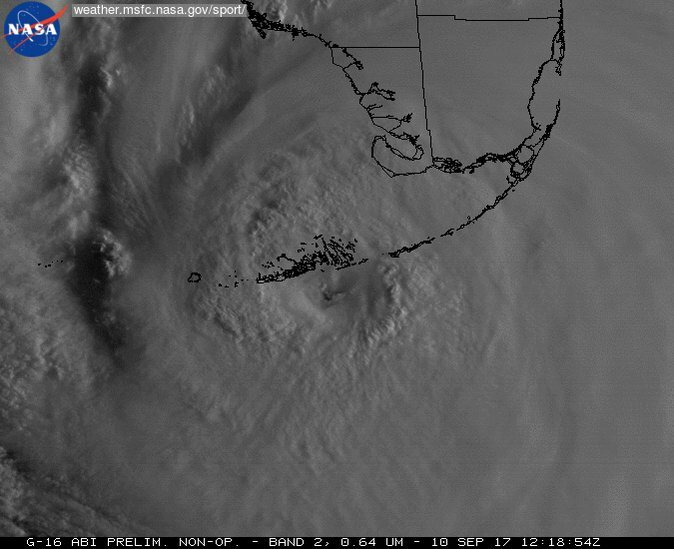 One hour of 30-second #GOES16 vis imagery as Hurricane #Irma made landfall in the Florida Keys as a cat 4 with sustained winds of 130 MPH. After the storm formed, it intensified quickly. In the span of 24 hours, Irma became a hurricane with maximum sustained winds of 100 mph. The storm then idled as it moved west across the Atlantic — before warmer waters gave it another growth spurt. On Monday, Sept. 4, Irma’s sustained winds were 120 mph. On Sept. 5, they were 185 mph, with gusts of 213 mph. 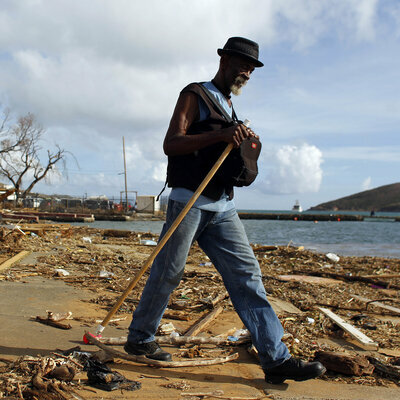 When it finally hit land, it devastated Barbuda, St. Martin and other Leeward islands with direct hits, and brought massive flooding to Puerto Rico and the Virgin Islands. Irma has been blamed for three deaths in Florida, one in Georgia, and at least 36 in the Caribbean. It forced evacuation orders for millions of people — many of whom are now facing the task of rebuilding and repairing their homes. It was the first Category 5 hurricane to hit the tropical Atlantic since Hugo in 1989, Klotzbach says. All that water and energy also incurred a material cost: Moody’s Analytics estimates the economic cost of Hurricane Irma to be from $64-92 billion, a tally that includes both property damage and lost economic output. For more than a week — 8.5 days — Irma was a major hurricane, which Klotzbach says puts it second only to Hurricane Ivan in 2004 in the satellite era (which began in 1966). Hurricane Irma approached Florida as a Category 4 hurricane on Sunday. The storm had been a Category 5 — with 185-mph winds. The storm “generated the most Accumulated Cyclone Energy in a 24-hour period on record, breaking old record set by Allen” in 1980, Klotzbach says, referring to the National Oceanic and Atmospheric Administration’s wind energy index. Klotzbach says Irma’s energy metric tops all of the first eight named storms, including Harvey, of the 2017 season — combined. In addition to the destruction the storm has brought, Irma knocked out power to more than 60 percent of Florida’s homes and businesses. Irma reshaped beaches and forced evacuations; it ruined houses and flooded cities. And despite being downgraded after moving over Florida and Georgia, it’s not over: officials say floodwaters brought by the storm won’t peak in some rivers until Tuesday — when new high-water records could be set. Is The Apocalypse Coming? No, It Isn’t!